Regular Termite Inspections How Long Should You Leave Them? I get asked by many customers how long they should leave it between termite inspections. This is a good question and there are many factors that determine the length of time between inspections. Regular termite inspections are the best way to pick up early signs of termites before serious damage is caused. Termites can cause a great deal of damage to a building in as little time as a few months. The amount of damage will depend on the species of termite in question. There are over 300 different species in Australia. Most of them are of no real concern but there are a hand-full that really will bring down the house. I have seen many homes over the years with major termite damage that could easily have been prevented. There’s a saying we all know well and that is “prevention is better than cure”. This saying is no truer than when dealing with hungry termites. Your termite professional will ascertain how often an inspection should be carried out. This will depend on the environment surrounding the property, and also if there is a current termite barrier in place. If there is no active termite barrier protecting the structure then it is likely that a 3 or 6-month inspection will be recommended. For instance, if a home is located on acreage with lots of trees etc., and there’s no current barrier system in place. It’s possible that a 3-month termite inspection would be recommended. If a home is in a suburban setting and also has no current termite barrier then a 6-month inspection would be recommended. It’s best to take the advice of your professional termite technician seriously. The advice given is in the best interests of the homeowner. We will now have a look at a scenario of a job we did for a customer where active termites were found in their home. The termites were found in the downstair room under the house. The house is of weatherboard construction and has also been built in underneath. The renovations have been carried out by different owners over the years. The timber used for the construction of the internal walls was pine studs. Some of the wall panelling’s are made of plyboard with plasterboard then clued to the ply. Both of these materials are highly susceptible to termite attack. Because of the construction of the downstairs room, it made an easy entry for termites. This type of wall with many different layers will make it very difficult to locate termites. The walls were made thick because it was used as a music room, but as mentioned this doesn’t help in detecting termites. The damage was extensive to the wall studs and panelings. Three of the downstairs walls had to be completely dismantled and re-built. Fortunately, the termites didn’t make it up into the main part of the house. There was plenty of untreated wood in the downstairs area for them to feast on. The main upstair of the house is built out of hardwood so the untreated pine made for a much easier meal. Although don’t be fooled termites do eat hardwood it just takes them a little longer to get through. Whenever doing renovations all wall studs should be made from treated h2 or h3 pine. There are other timbers that can also be used that are naturally resistant to termite attack. The photos show the extent of damage the termites caused and this was only the beginning. The treatment to eradicate termites from a home is an important part. If your technician gets this part of the job wrong there is a chance termites could still be in the house. The only product to use to get rid of termites, in my opinion, is Termidor. In this particular case, we used Termidor dust. The dust is blown into the workings very carefully so’s as not to disturb them too much. If the termites feel they are under serious threat they will close off that part of their colony. If this happens the dusting won’t get to the whole colony or the nest. We want the treatment to kill off the entire colony including the Queen. By eradicating the entire colony will drastically reduce the pressure of future termite attack to the property. This stage is called colony control and it’s important that it’s done by a licensed professional. As mentioned earlier if you get this stage of the treatment wrong there’s a good chance the termites will move to another part of the house. Once the initial treatment has been completed it is left for 21 days. This gives enough time for the Termidor dust to get past onto the other termites within the colony. The termites have no idea that they are carrying around a poison, this is why Termidor works so well. Upon the second visit, we check all of the workings for any live termites. In this particular case, all activity had ceased. In some circumstances, it may take a couple of visits before all activity has ceased. When termites are less active like during the winter months a colony control can be made more difficult. So once the colony control has been completed we then move on to the termite barrier. 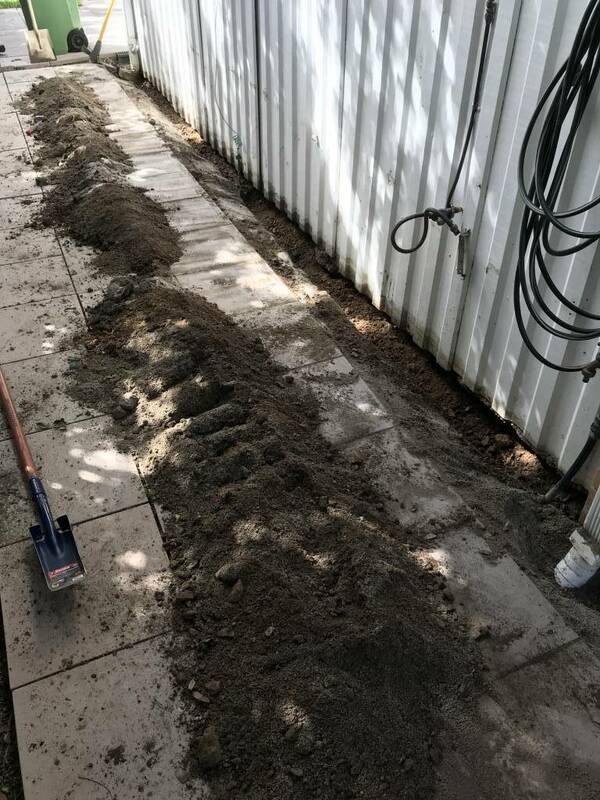 In this case, we did a chemical soil barrier and used Termidor around the house. The first part of the barrier was digging the trenches. The trench is then backfilled and treated with Termidor to create a barrier around the house. Areas of concrete are drilled and injected then re-sealed with a grommet or cement. The same product Termidor is injected under high pressure into each drilled hole. In this case, we applied 10 litres of product per 1 linear meter of soil. The amount of product used will depend on the soil type and the depth of the footings. The label should always be read to properly determine the amount to be applied. So here we now come to the amount of time between future termite inspections. With this job, we advised that a 6-month inspection was necessary and then after that, they could go to 12-month inspections. This time frame was well advised as on the 6-month inspection we found termites in the detached garage in the back garden. Although the house was fine and is now termite free other areas on the property are still at risk. And by doing regular termite inspections they can be picked up and eradicated before they pose a problem. As you can see from the photos below the damage caused was not too bad, but had it been left for another 6 months it could have been much worst. By picking this termite activity up early it helps to take the pressure off the house. This is the whole point of regular termite inspections it helps to pick up early signs of active termites. 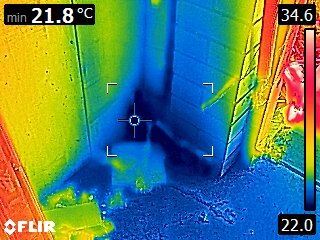 The earlier the activity is picked up the less damage will be caused and this is why we sometimes opt for 6 months inspections. Once we are confident that all immediate threats of termites around the property are gone we can then implement 12 monthly inspections. As the termite activity was clearly visible we opted to treat it at the time of the inspection. The treatment carried out was direct spray into the workings with Termidor. This now needs a follow-up inspection 21 days after this treatment. The reason for the follow-up inspection is to ensure that all activity has ceased. The garage is made from steel, and yes I know you’re thinking well why did it have termites. 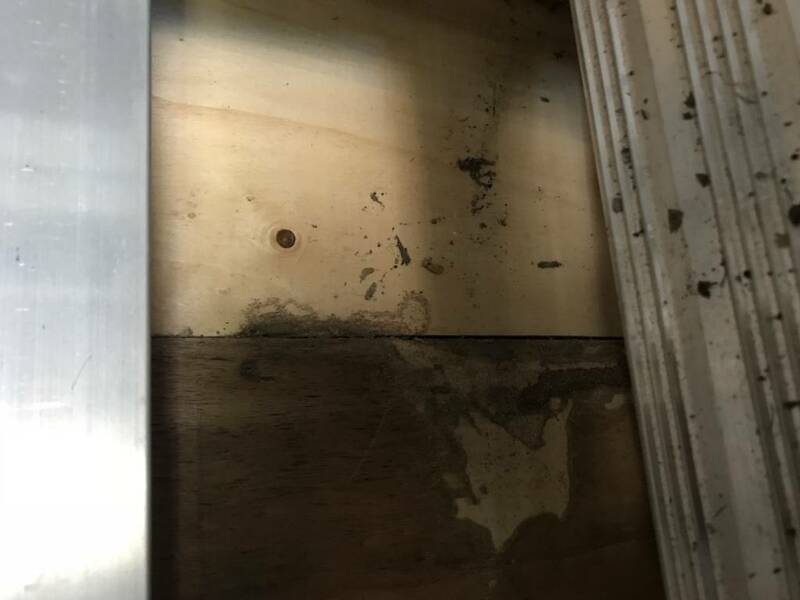 The reason for the termite activity is simply because of the plywood used on some of the internal walls. Let’s not forget we have previously completed a full termite barrier around the house. So the termites have moved onto easier pickings. The garage didn’t have the barrier treatment applied to it so this area is free for termites to attack. Let’s understand that treating a garage is going to be another expense that the customer doesn’t really want. So there is a cheaper alternative and that involves trimming the wooden panels on the internal walls of the garage. Under normal circumstances, this garage wouldn’t have any issues with termites. It’s only because plywood has been screwed to the internal walls that the termites attacked this area. So the easiest and cheapest way around it for the customer is to trim the bottom of the plywood. About 300mm needs to come off the bottom of the plywood panels and then they can be re-fastened. This will take a couple of hours of work but it’s a much cheaper option than the expense of a termite barrier around the garage. 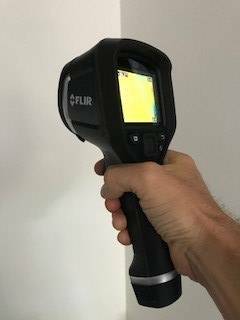 What this does is give a visual aid in seeing future termite activity before they get to the plywood. Homeowners need to be aware of areas around the home that may be at risk of termite attack. These areas will be highlighted during regular termite inspections. Let’s not forget termites are constantly foraging for new food sources and inspections can pick this activity up. Many people think that because their home has a chemical soil barrier or maybe even a baiting system installed that they are safe. This is a misconception and homeowners need to understand that there is no silver bullet when dealing with termites. A termite barrier will certainly help keep away termites and is the best defence against them. But barriers can be breached and without regular termite inspections, serious damage can be caused. When a barrier is installed around a home, it’s not complete with ongoing termite inspections. The inspections are as important as the barrier they work together to protect your home. Once a barrier has been installed around a home it comes with a guarantee. The guarantee will only stand if the customer has their regular termite inspections carried out. So to get to the point, spending the money on a barrier of any kind is pointless unless regular inspections are also done. 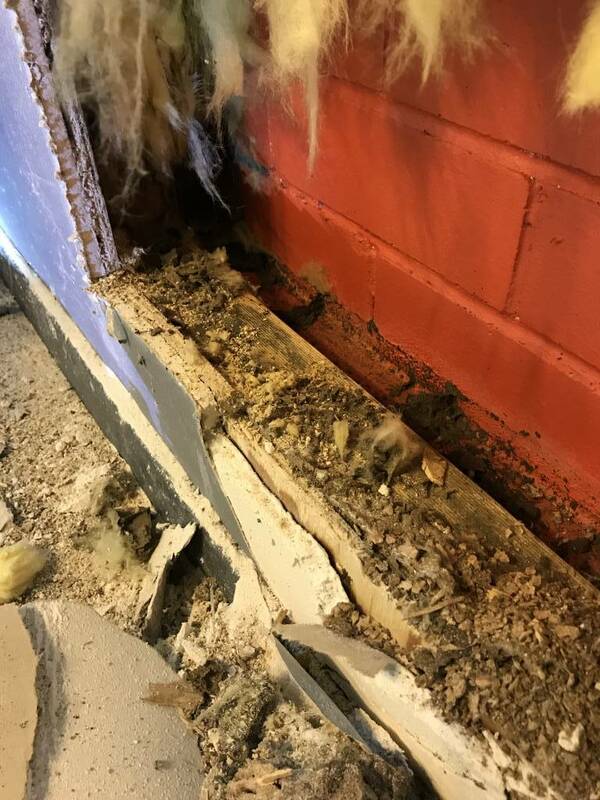 The importance of a termite inspection cannot be overemphasised. And the time frame between them will greatly depend on the risks posed to the property. Make sure you use a professional and fully licensed pest control company to deal with termites and any inspections. 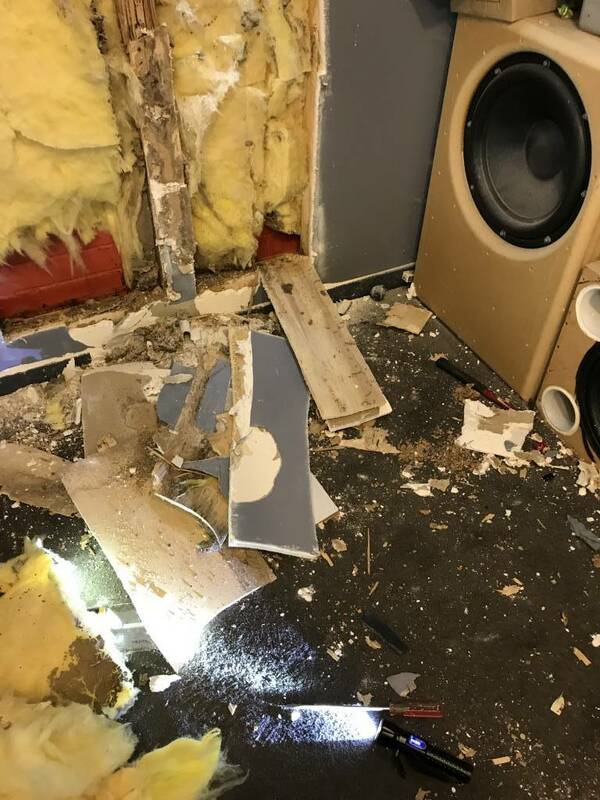 The customer in the case study was lucky we opted for a 6-month inspection as this has saved serious damage from occurring. Termites are unpredictable and can go unnoticed without regular termite inspections. Don’t let termites have a party at your home as they have a nasty habit of leaving a large repair bill behind them. Please feel free to leave any comments below. General Pest Control Specials Save On Combo Services. Call Now For Your Special Deal!